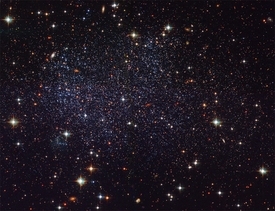 The nearby Local Group galaxy dubbed the Sagittarius Dwarf Irregular Galaxy (SagDIG) is not only very small but also has relatively few elements more massive than helium. Now the lack of heavy elements might mean that SagDIG is very young, so that component stars had little time to create and disperse massive elements. 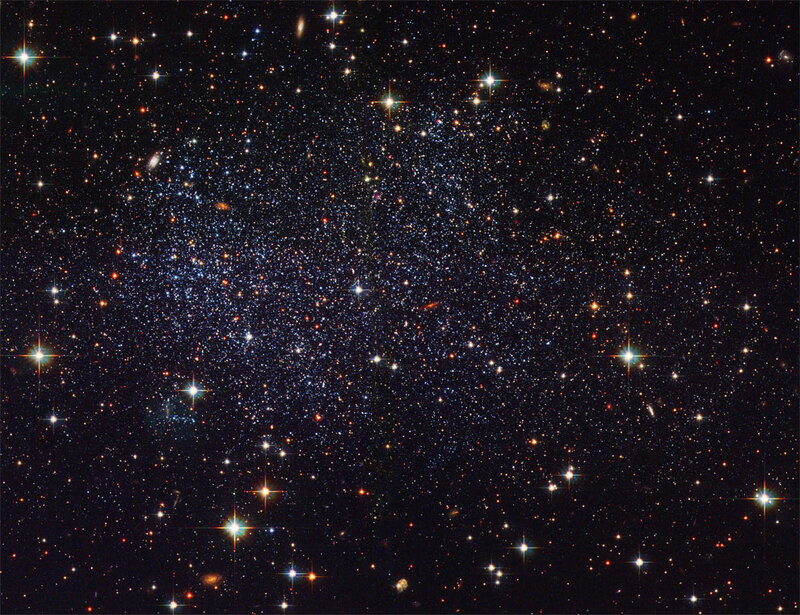 Conversely, SagDIG's diminutive size could indicate that it formed in the early universe, being a surviving building block of modern large galaxies. The above detailed image from the Hubble Space Telescope has now resolved enough stars to solve this mystery: SagDIG is ancient. Although SagDIG does have some groups of young stars, many stars are very old, and the galaxy as a whole helps astronomers to understand how the universe evolved, and show that at least one metal-poor galaxy is almost as old as the universe. Pictured above, SagDIG spans about 1,500 light years and lies about 3.5 million light years away toward the constellation of Sagittarius.